Tweet Frankie Muniz stole America's hearts as Malcolm in "Malcolm In The Middle." Now, he's trying to do the same as drummer for the band Kingsfoil. How did you get involved with the band? I was in a band prior to Kingsfoil for a few years. My old band and Kingsfoil shared the same manager. I was a pretty big fan. When I got the call that there was an opportunity I was super excited and flew out to Pennsylvania and auditioned. So, here I am and now I'm playing drums in a band. I'm having a blast. Describe the band's sound for those who have yet to discover you and also what fans can expect from the new album, "A Beating Heart Is A Bleeding Heart," which comes out September 25th. It's rock and roll, pop rock. It's hard to compare your music to someone else. But people usually compare us to The Fray, Coldplay, a OneRepublic-ish type sound. The new album? We're all really excited to get it out there, get released and have people hear. It's definitely, from the last album, more mature, darker vibe. From a fan perspective, I love the new stuff and am super excited for it. You're best known from "Malcolm in the Middle." How has your celebrity status helped or harmed the band since you've joined? There are definitely good and bad. If I can bring some fans from my acting days to listen to our music they usually become fans of the band. There's almost a lot more pressure; people judge it a lot more in the sense that instead of just listening to the music they have a stronger opinion about it. The band's confident that people will like it. If people come to see me play drums they forget about it and quickly become fans of the band. I've heard the album a few times and one of the things I like is that you seem to blend well with the band. You've been playing for quite a while. Is this type of music the style that you grew up playing? To be honest, when I going to audition for it I was telling my fiancée that this would be my DREAM band as far as type of music; everything about it. All the songs are really fun to play. I've been drumming my whole life but didn't take it seriously until a couple years ago when I joined my first band. I'm still learning a lot and am progressing as much as possible and want to be the best I can be for the band. I think the song, "Lying In Wait," really showcases your range as a drummer. Which song do you enjoy playing the most live? 'A Beating Heart Is A Bleeding Heart,' is real fun to play live; we just started playing it live. The songs all have tough parts for me that keep me on my toes. None of them are boring. The fans really help drive you. We're excited for them to hear the new songs. Do you have plans to go back to acting? I'm not saying no. This is 100% my focus, the band. The schedule coming up will be kind of crazy. Two weeks ago I was home and was asked to do a guest star role on 'Don't Trust the B---- In Apartment 23.' I'm doing things; I'm just not actively pursuing things. If it fits in the schedule I'll do it. I like being busy. 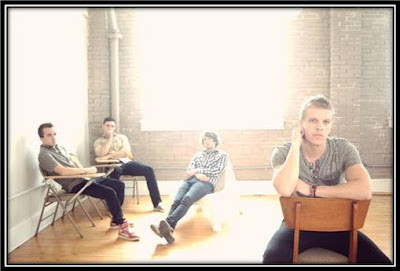 Kingsfoil will tour late September 21 through November. Muniz also directed the band's new video for "What Your Mother Taught You." Visit Kingsfoil on the web: www.kingsfoil.com. Jason Tanamor is the Editor of Zoiks! Online. 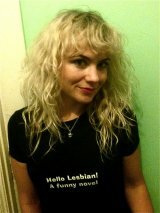 He is also the author of the novels, "Hello Lesbian!" and "Anonymous." Follow him on Twitter at @zoiks_online. Email Jason at jason@zoiksonline.com.